Hi everyone! 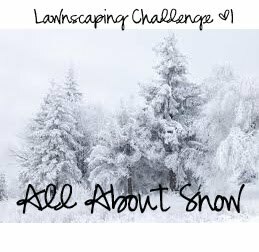 I am THRILLED to tell you about the brand new Lawn Fawn challenge blog, it's called Lawnscaping Challenge. I was so happy when Lynnette recommended me to the brains behind this whole idea, Laurel. How it works is that every 1st and 3rd Monday, there will be a new challenge and an awesome prize! 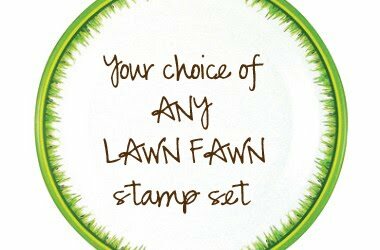 To play along, you must use Lawn Fawn stamps. Also, if you play along with all the challenges, you will be entered in a drawing to win a HUGE prize pack! The more times you play, the more times your name will be put in the drawing. Our first challenge is All About Snow! What a fun one! We don't actually get snow where I live but some times, we'll go visit an area with snow. The prize for this week is a stamp set of your choice! How awesome is that? I'd love to win! For all the details and to enter the challenge, go over to the Lawnscaping Challenge blog. Seriously, how cute is this! Love your dog sitting on the snowy hills. Just perfect! And your sentiment cracks me up! Love it love it love it! CONGRATS on the new DT spot! 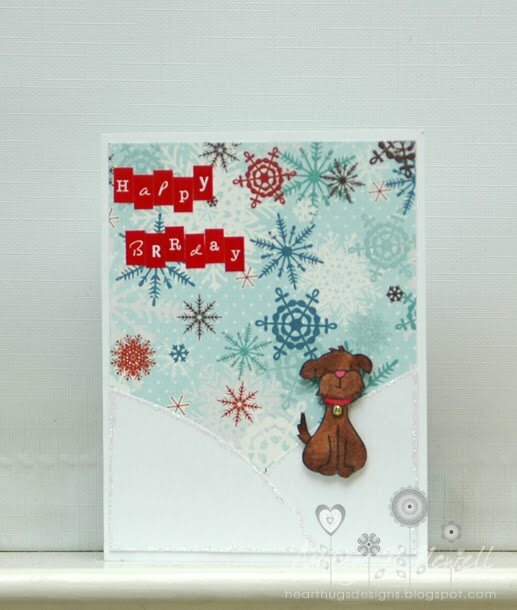 This card is super cute! LOVE the dog!! ADORABLE:) You rock!! woot woot...congrats on the new DT...such a fun new challenge site! Love your card!!!! This is SO CUTE! And the sentiment...perfection!! This is totally darling! Whoever receives this card is going to just love it. You rock! This is so awesome! Congrats! Ashley, this is so dang cute. Just love it.